Career with the best Salesforce Consultants or Salesforce Developers! At Cirrius Solutions our mission is to prioritize personal development in order to be recognized for the best Salesforce consultants in the business. We invest in building our people’s expertise, cultivating teamwork, and encouraging exposure to different work environments and global cultures. As a result, our people step up and take ownership as individuals, but grow together as a unified team. At Cirrius Solutions we are devoted to nurturing advanced technology skills and the expertise of a talented employee pool. We actively promote the exploration and innovation and technology certifications. Our management team welcomes individuals to attain tremendous growth and enjoy business opportunities. Regardless of your focus, each of our employees has a unique opportunity to work with the latest technologies and some of the biggest cloud solution providers in the world, including our strategic partner Salesforce.com. What makes working at Cirrius Solutions such a great experience? 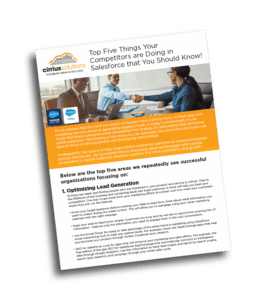 Our Salesforce Consultants not only work with our partners, but they also engage our clients, who include many of the world’s leading and most forward-thinking companies. Cirrius Solution is made of people who are passionate about what they do and love challenges. Are you ready to build a smart career with a company that uses cutting edge technology? We’re looking for experts committed to implementing innovative solutions while helping transform the business. If you are interested in a job that challenges and inspires you, then Cirrius Solutions is the right place for you. At Cirrius Solutions you’ll find lots of exploration for yourself and your expertise. Cirrius Solutions offers a fast-paced career, global exposure and a best in class service offering. Our open door culture for Salesforce consultants help us create an enjoyable workplace. Moreover, our proven technical and managerial competencies ensure optimum utilization of your skills. What are you waiting for? Apply today to join the Cirrius team!